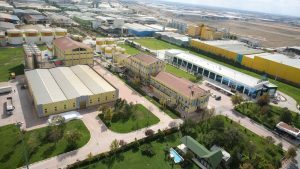 In 2009, the Company realized the production of natural vegetable oils produced from 20 plant species that support alternative medicines for the first time in Turkey and in the world. As an exploration of the richness of nature, The Zade Naturel range has been developed following 10-year R/D. Products such as grape seed oil, Pomegranate seed oil, Pumpkin seed oil, Linseed oil, Poppy seed oil, Sesame oil, Aspirant oil, Clove oil have been presented to the market. 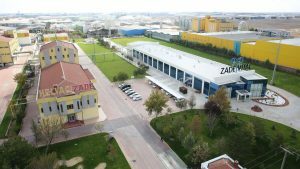 In Zade which was certified by the Ministry of Science, Industry and Technology as the 200th R & D center of Turkey on September 1, 2015 and Zade Vital İbn-i Sina R&D, product development and patent applications are performed for nutritional support, food and drug in the name of Zade and Zade Vital brands. 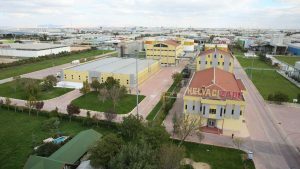 With headquarters and Zade and Zade Vital facilities located in Konya, Helvacizade, which is one of the top 500 industrial establishments in Turkey produces vegetable oil and natural nutritive food substitutes in 7 plants with 430 employees. Currently, Helvacizade exports to more than 85 countries in 5 continents and is the first and only company to produce with 17 quality and system certificates. As Helvacizade continues to invest in future, it aims to develop innovative and high-tech products and continue to offer them to customers and consumers with Zade and Zade Vital brands.